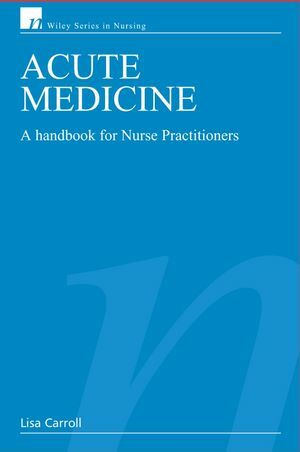 This book provides Nurse Practitioners working in the field of Acute Medicine with an up to date, practical, and comprehensive guide to the management of acute medical patients. It serves as a text from which the busy highly skilled nurse can obtain information on assessment, diagnosis, and management of acute medical conditions. It identifies priorities for treatment and guides the reader through the management of the patient. Wherever possible the latest published guidelines have been included. The final chapter of the book considers the legal, professional and ethical issues faced by nurses working at an advanced level. The issues of role development, the development of protocols and prescribing are considered. Lisa Carroll RGN, MSc, Consultant Nurse Acute Medicine. University Hospital of North Staffordshire, UK.